This screening grid and brief questionnaire may be used to help uncover possible visual issues and eye-teaming instability. Used together, they will allow you to quickly determine, with reasonable accuracy, whether a therapeutic glasses prescription and/or Vision Therapy will be beneficial. 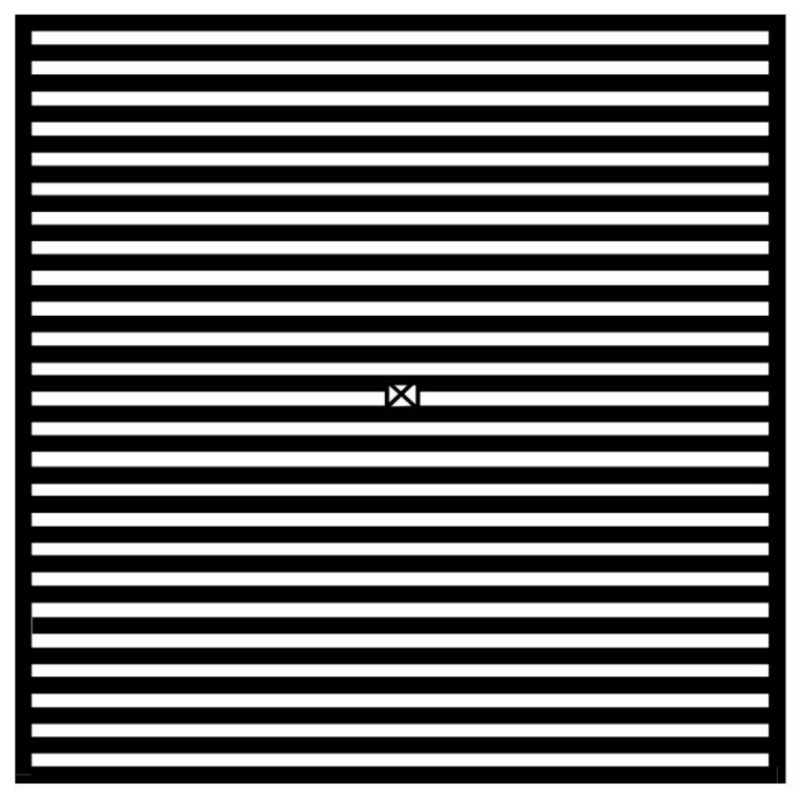 Look directly at the X in the middle of the grid (do not move your eyes). Does this pattern seem to move, shake, change colour or cause negative symptoms for you? A negative or uncomfortable reaction to viewing the grid is a strong indicator that an individual would benefit from referral and further assessment. This test requires minimal vestibular, cervical or cognitive input – making the findings primarily visual. To refer yourself or a client to our office, please contact us. Following use of the above screening grid, please complete the brief questionnaire below. A total score of 22 points or higher is a strong indicator that referral is prudent. Pressing submit at the bottom of the questionnaire will automatically tally your score.